If records are denied by a government agency, despite a Freedom of Information Act request, or if fees are assessed, this letter can be used in appeal. 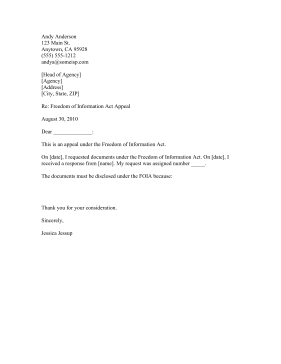 On [date], I requested documents under the Freedom of Information Act. On [date], I received a response from [name]. My request was assigned number _____.